Water softening systems come on all sorts of styles, makes, and models, from gas and electric, to tankless, solar, and more. As water softener experts, we get a lot of questions about manual regeneration water softeners. If you have come across this industry term on your search for a new water conditioner, continue reading to learn if this style is a good fit for your water softening needs. Water softeners are not something we put much thought into, until of course, they stop working. 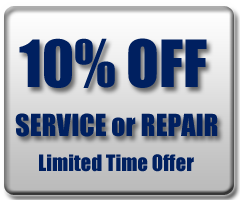 At which time, you will likely just need some minor water softener repair. But in many cases, you will need to replace your water softener altogether. If you are currently on the market for a new water softener, the sudden onset of industry information can be quite overwhelming, especially if you have not made a large appliance purchase before. One of the biggest decisions you will make in regards to your new water softener is the type of regeneration process. All water softeners are either automatic regeneration-style or manual regeneration-style. In order to understand either style, it helps to first learn how a water softener works. Water softeners are water conditioning systems that treat hard water. Hard water contains hard mineral ions, like calcium, iron, and magnesium, all of which have negative effects on several areas of life, including the body, laundry, dishes, plumbing, and more. Water softeners contain sodium-saturated polystyrene beads, also known as resin beads. Hard water passes through these beads, and in the process, the hard mineral ions stick to the beads, and the rest of the water, which is now free of hard mineral ions, is transferred to another tank where it can be used for washing dishes and clothes, bathing, cooking, drinking, and more. After a while, the resin beads become over-saturated with the hard mineral ions they collect overtime. This reduces their ability to do their job, so to get them back to their original condition, they must be regenerated. 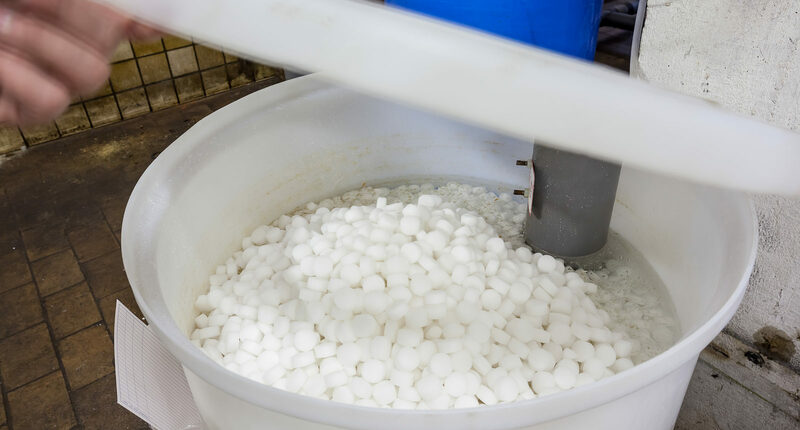 To regenerate resin beads in a water softener, a salt brine solution is passed through them, which flushes the accumulation of hard mineral ions out of the beads. The salt-saturated wastewater is then discarded. The entire cycle generally take anywhere from 30 to 60 minutes, and uses an average of 40 to 60 gallons of water. Most standard water softeners are automatic regeneration devices that operate on a clock or timer. This means they automatically regenerate according to a set schedule, which almost always occurs in the middle of the night when no one is using water. If you ever heard your water softener make funny noises at 3 o’clock in the morning, it was going through its regeneration cycle, which by the way, means you had an automatic regeneration water softener. Instead of using a clock or time, some automatic models monitor the amount of water used. These are called demand-initiated regeneration softeners. All water softeners require a certain amount of maintenance, just like all other major home appliances. And manual regeneration style systems are no different. They require you to manually initiate the regeneration process, but fortunately, it is very easy to do. The method of manual regeneration, however, will differ depending on the make and model water softener, so be sure to check the owners’ manual if you choose to buy a manual regeneration unit. Call Our Water Softener Contractors For Expert Advice! Call 317-537-9707 for professional Indianapolis water softener installation you can afford. Our licensed contractors have decades of experience in the plumbing and water conditioning industry. Not only will we install your water softener at an affordable price, we will sell you a quality unit too! Request a free estimate for water softeners, today. This entry was posted in water softeners and tagged automatic regeneration softener, Indianapolis water softener installation, Manual Regeneration vs automatic, Manual Regeneration water softener, water softener regeneration times. Bookmark the permalink.